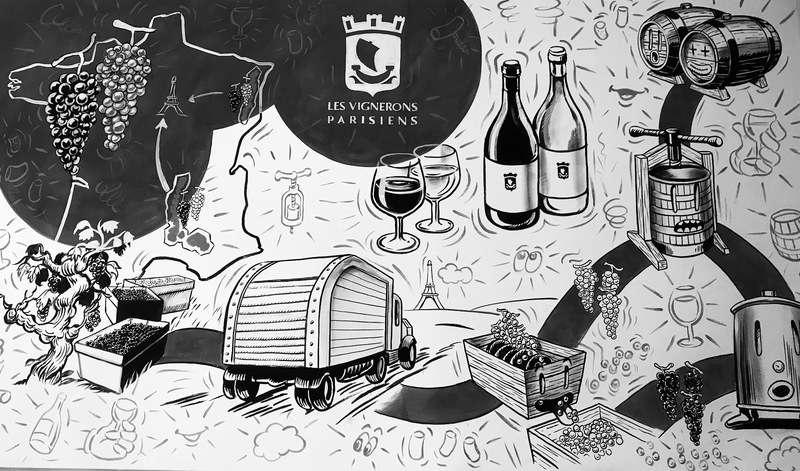 Les Vignerons Parisens is the first and only urban winery in Paris. 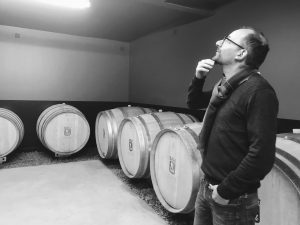 Located in the 3rd Arrondissement, the enterprise was founded by Matthieu Bosser with two partners: oenologist Emmanuel Gagnepain and biodynamic viticulture consultant Frédéric Duseigneur. Their combined list of clients includes Domaine La Barroche and Domaine des Nalys in Châteauneuf-du-Pape, Domaine Parent and Chateau de Chassage-Montrachet in Burgundy and Domaine Bunan in Bandol. Their biodynamic and certified organic grapes are sourced from four different growers (to which Emmanuel and Frédéric already consult), located in the communes of Visan and Sabran in the southern Rhône. Although the project only started in 2015, the partners have built up and intimate knowledge of all the vineyards they work with over the past 15 years. Whilst the traceability of the grapes is known to the exact parcel, the wines are not allowed to carry any mention of appellation, for two reasons. Firstly, since they are vinified outside the region (some 500km north of the vineyards, to be exact) and, secondly, because all but one of the cuvees produced are single varietal wines for which no regional appellation exists. The wines are therefore all commercialised as Vin de France. The grapes are harvested by their own team of pickers, usually between 6am and noon. The whole clusters carefully placed directly into small lug-boxes which are then loaded onto pallets and transported by refrigerated trucks where, after at least 18 hours of cooling, they are crushed the following morning at the rear of their small (organically certified) cellar on the Rue de Turbigo. If the sourcing of the grapes was relatively straightforward, the greatest challenge was the 18 months it took negotiating with the Paris authorities to gain the necessary customs documents to be allowed to make wine within the capital. The 2017 vintage, their third, production rests at 37,000 bottles, divided over five different cuvees. 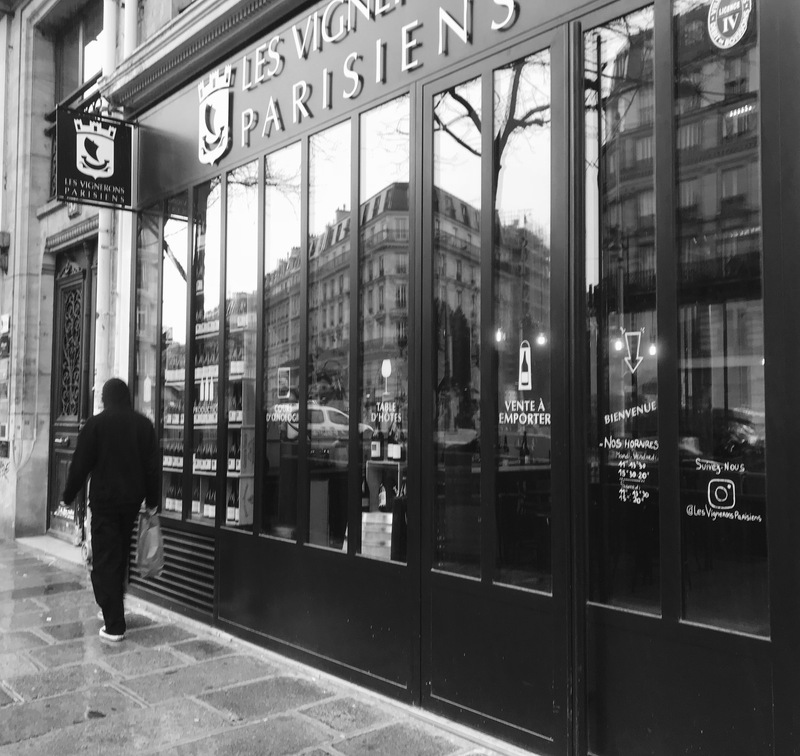 Their market to date has been relatively local, distributing to a wide range of clients within Paris; everything from modest ‘bistronomie’ restaurants to three Michelin Starred chefs, such as Jean-Francois Piège and Alain Ducasse. Around 15% of the production is sold from the shop-front, mostly to locals who have quickly adopted them as their house wines. The names of the cuvees all take inspiration from Paris itself. 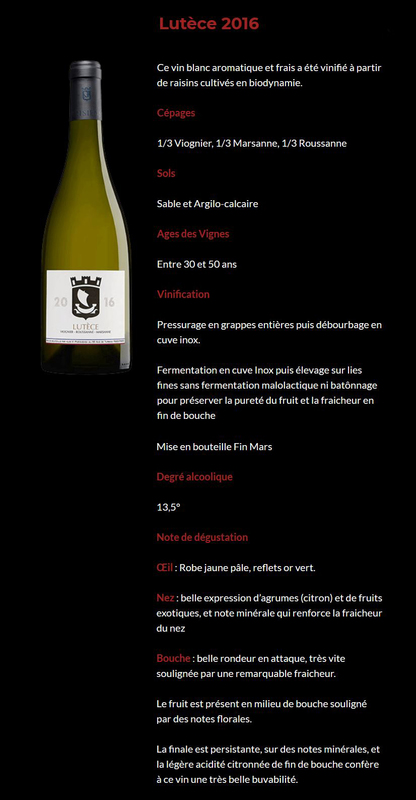 Lutèce – This is the only multi-varietal wine made in the cellar. It’s a three-way blend of Viognier, Marsanne and Roussanne. The grapes come from the village of Sabran in the Gard, with the grapes harvested a week earlier than the proprietors own picking. The wine is raised in tank and bottled at the end of April following the harvest. At around 12,000 bottles, it is the principle white cuvee. For interest, Lutèce was the original name of Paris during the Middle Ages. An 508 – This is a single parcel of Grenache Blanc from Visan and limited to 3,000 bottles per year. Raised in 600 litre barrels, the 2016 was bottled in January 2018. The significance of the unusual name is this was the year Clovis declared Paris the capital of France. Turbigo – is named after the small boulevard on which their premises are sited. 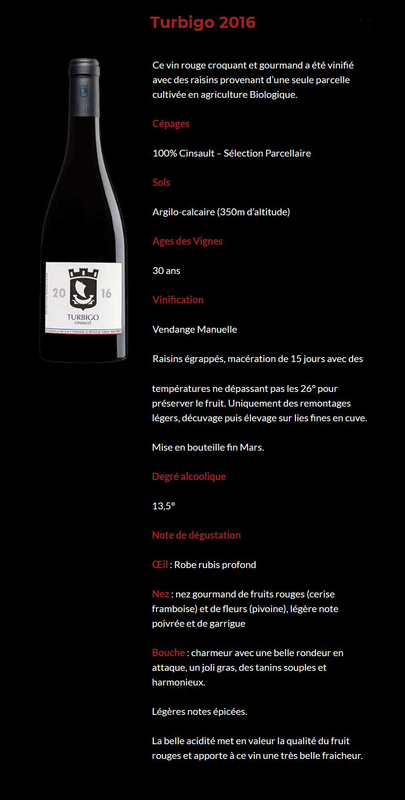 This is 40 to 50-year old Cinsault raised in stainless steel. It represents the largest single cuvee produced. Les Templiers – named after Rue de Temple and the local Metro station. The wine is 100% Grenache of which half is raised in second-fill oak. Around 3,000 bottles are produced. 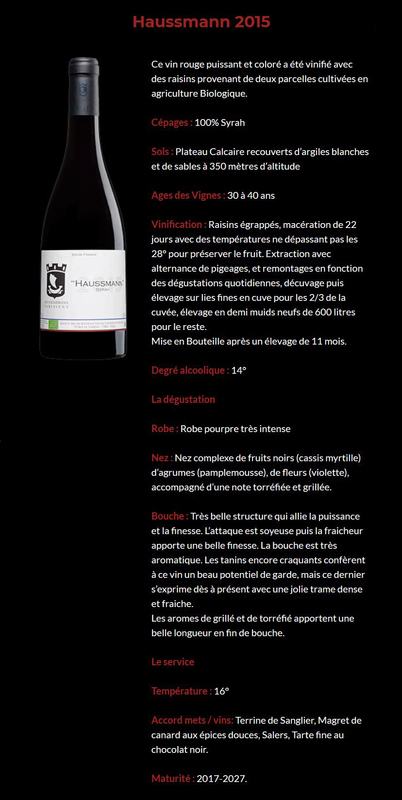 Hausmann – This is 100% Syrah raised in new oak (for the first 2015 vintage, at least). Production is around the same as the Grenache. The wine is named after Georges-Eugène Haussmann, commonly known as Baron Haussmann and chosen by Napoleon III to carry out a massive urban renewal program of new boulevards.